7th August 1915, aged 33. 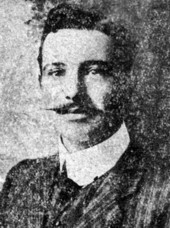 Son of Edward Foster Brady and Harriett Ann Brady; husband of Rose Harriett Brady, of 87, North Beach Rd., Leederville, Western Australia. Native of South Australia. Canterbury RegimentN. 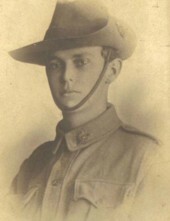 Z. E. F.
between 25th April 1915 and 1st May 1915, aged 26. Son of James Gillies Brass and Isabella Bews Brass, of Kelton St. Ola, Kirkwall, Orkney Islands. William was born at How Cottage in Harray on 27th December 1888, the son of James Brass, a farm servant, and Isabella Brass (née Bews). Soon after the family moved to Aberdeenshire, where James worked as a cattleman near Stonehaven, another son, James was born. The family had returned to Orkney, when William's mother Isabella, died of tuberculosis at Crook Rendall on 7th January 1893. William finished his schooling while living with his grandparents at Upper Ellibister in Rendall and then worked on their farm. William also joined the Orkney Royal Garrison Artillery (Territorial Volunteers), serving three years. 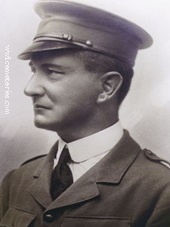 William left Orkney when aged 20, for the south island of New Zealand. He became a guide there for parties climbing its highest mountain, Mount Cook. It has three main peaks (highest 3,764 metres), a vast network of glaciers that wrap the entire mountain in ice and is subject to sudden storms that are long and severe. William demonstrated great strength and stamina on February 22nd, 1914, when an avalanche overwhelmed a climber and two guides on Mount Cook. William found the body of guide Jock Richmond and then shared turns with others in carrying him on his back down the mountain in the dark. Incredibly, when William first attempted to join up in Christchurch, he was turned down as “overweight” (he weighed 154 pounds). 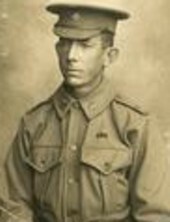 However he was successful when he tried again a few days later and enlisted in the Canterbury Regiment on the 17th August 1914. William was appointed Lance Corporal on the 25th August. He sailed from New Zealand on Transport No. 11 on the 11th October and landed in Egypt on the 4th December. William was promoted again a month later on the 4th January 1915. 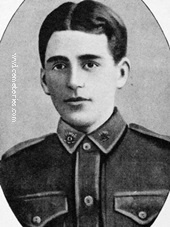 William landed at Anzac on Gallipoli with the Canterbury Battalion on the 25th April. 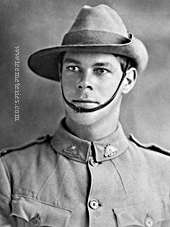 William Brass’s Commonwealth War Graves record and his New Zealand Army service records both give the date of his death as between the 25th April and the 1st May 1915. 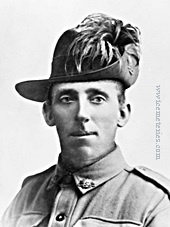 He probably died during the desperate fighting to stop the Turkish counter-attacks on the first day, when troops of the Canterbury Battalion were thrown in at various parts of the line, including most of two companies in vain attempts to hold the lower slopes of Baby 700. 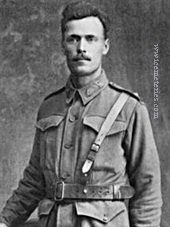 William’s body was never found and identified on Gallipoli, so he is commemorated there, with other soldiers of the Canterbury Battalion, on Panel 74 on the Lone Pine Memorial. It commemorates more than 4,900 Australian and New Zealand servicemen who died in the Anzac area and whose graves are not known. William Brass is also commemorated on two of the Orkney war memorials, those in Rendall and in Kirkwall. 23rd Bn., Australian Infantry, A.I.F. 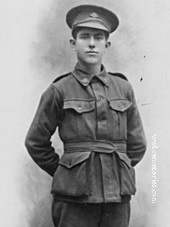 18th May 1915, aged 18. 11th Bn., Australian Infantry, A.I.F. 2nd May 1915, aged 32. Son of Alfred Edward and Elizabeth Catherine Cooke; husband of Rosetta A. 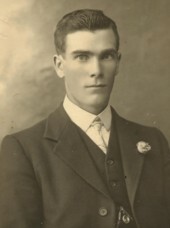 B. Cooke, of Wickepin, Western Australia. Native of England. Between 6th August 1915 and 11th August 1915, aged 25. Son of Charles Samuel and Isabella Davis. Native of Stewart's Brook, Scone, New South Wales. 2nd May 1915, aged 20. 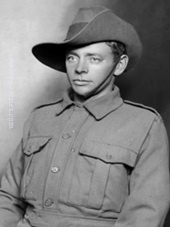 Son of Blanche Gale, of "Glengarrah," Lagoon St., Goulburn, New South Wales, and the late William Gale. 25th April 1915, aged 45. Son of Robert and Annie Gordon; husband of J. M. E. Gordon. Native of Kingstown, Ireland. 14th Bn., Australian Infantry, A.I.F. 8th August 1915, aged 24. Son of George and Jane Greengrass, of 31, Stephen St., Yarraville, Victoria, Australia. Native of Footscray.